This past weekend, the Lions district leadership teams from Saskatchewan, North Dakota, and South Dakota met in Minot for their final Council of Governors’ meeting before the MD5 Convention in Watertown at the end of May. Council Chair Rick Pockett led the meetings and his spouse, Lion Maureen Meston-Pockett coordinated the hospitality activities. As usual, all business and social activities were organized and enjoyable. The business of the Multiple District was the focus of our attention, but the election of the next council chair and state/ provincial representatives took the spotlight at the end of the meeting. 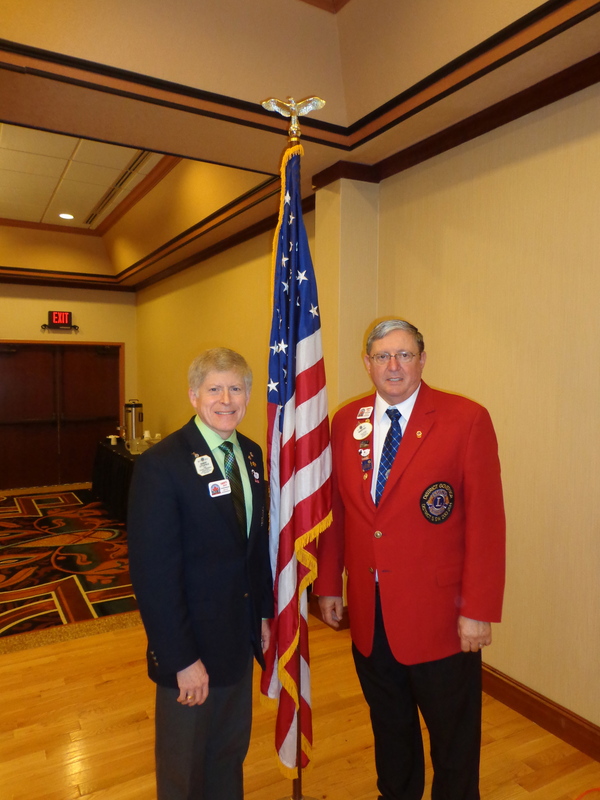 District Governor Ken Wetz from 5SW in South Dakota was elected as Council Chair-Elect. 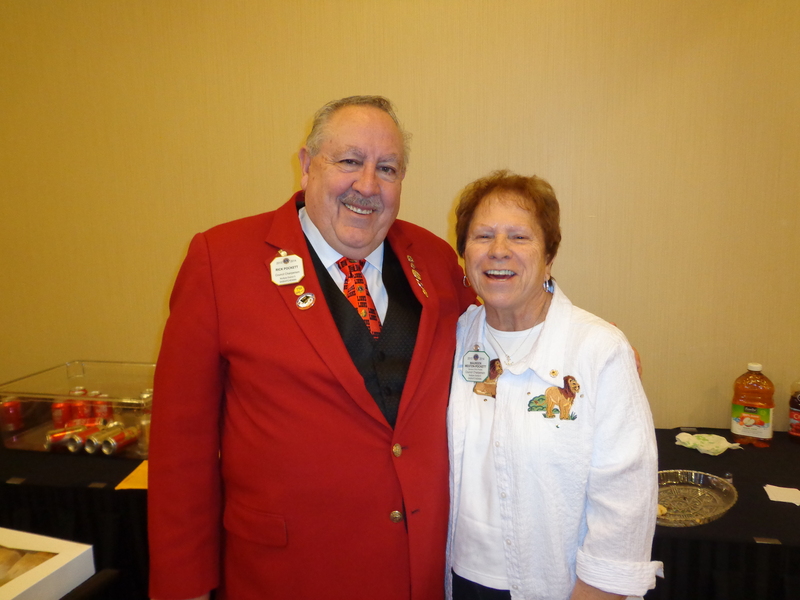 CCE Ken and his wife, Lion Donna are active members of the Newell Lions Club in western South Dakota. His ease in speaking after the announcement of his election, and his introduction of a pledge to lead with the intention to assist the District Governors in building upon the strengths of Lionism gave confidence to those in attendance. I am confident that Lion Ken will be an outstanding Council Chair and I look forward to working with him in the future. In addition, DG Tom Armstrong of 5SKN, DG Mike Blazek of 5NW, and DG Harry Engberg of 5SE were elected as state/provincial representatives for Saskatechewan, North Dakota, and South Dakota respectively. 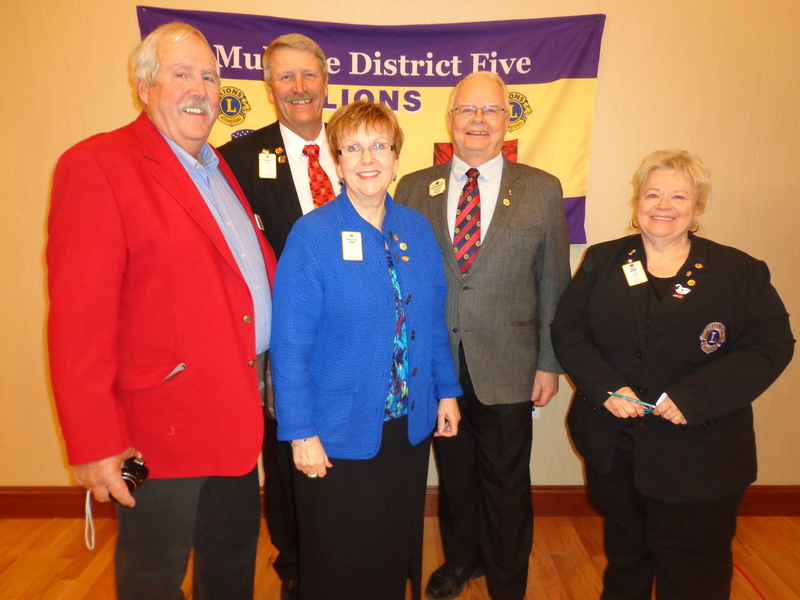 Joining these Lion leaders will be the next class of District Governors (pictured below): For Saskatchewan, DGE Ellie Mae Bishop – District 5SKN, and DGE Murray Linner – District 5SKS; for North Dakota, DGE Dwaine Heinrich – District 5NE, and DGE Arlen Vetch – District 5NW; and for South Dakota, DGE Dennis Van Asch – District 5SE, and DGE Julaine Arient-Rollman, District 5SW (photo unavailable). The Council of Governors brought the newly-designated Vice District Governors Elect to the meeting to begin their orientation to the leadership opportunities that lie ahead. Global Membership Team leader PDG Rob Hill and Global Leadership Team Coordinators PDG Pat Vannett and Gordon Ziegler (pictured in the center below) provided orientation sessions that were well received by the VDGEs. 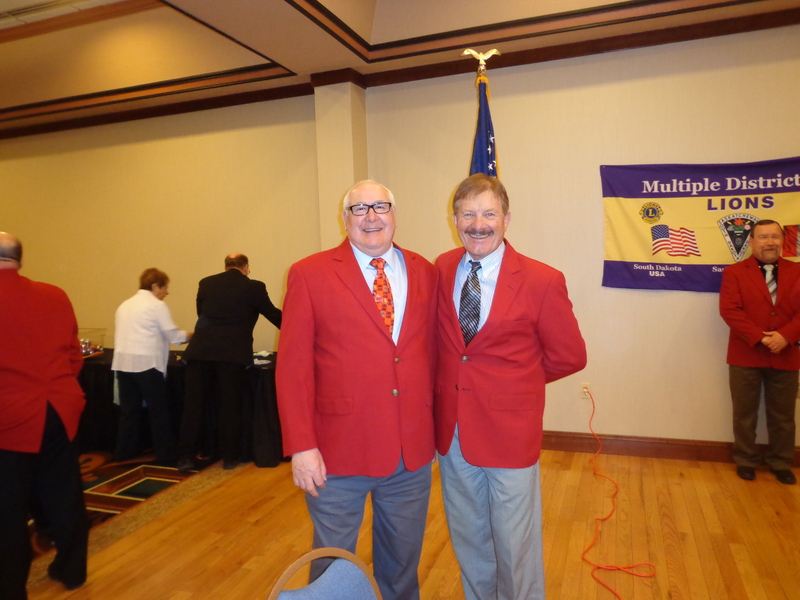 Joining GMT and GLT leaders are Council Treasurer Lion Mike Brand (l) and IPDG Jan Wagner of SD (r). As for me, the weekend was energizing. Being among the leaders of the Multiple District, participating in the council meetings as we conducted the business of the association, and being among friends and supporters served to strengthen my resolve and commitment to move forward with a positive message about how all of us can work together to build a stronger international organization as we enter our 21st century. Past International Directors provide advice and leadership for council decision making. 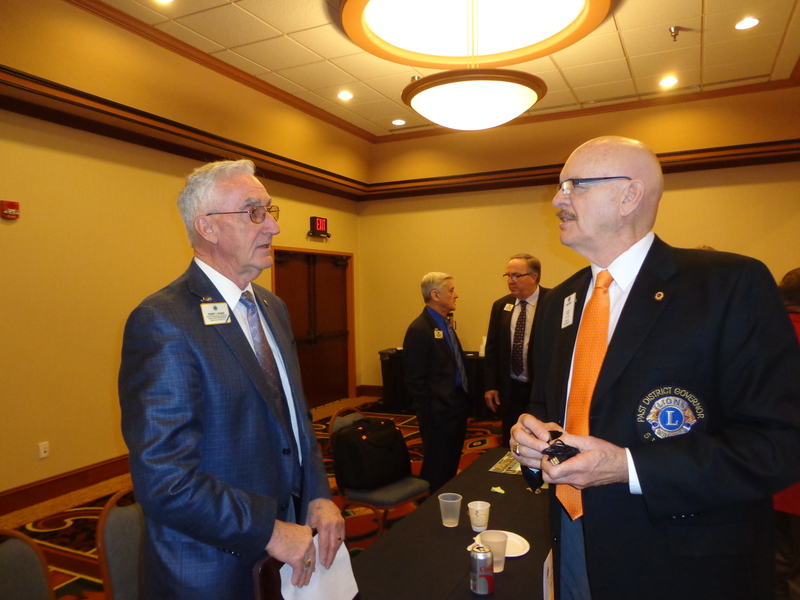 In the photo to the left, (l-r) PID Bob Drabek confers with PDG Mel Olson, while PID Bruce Schwartz and PID Marvin Chambers are engaged in discussion about what lies ahead at the MD5 Convention and the International Convention in Toronto. 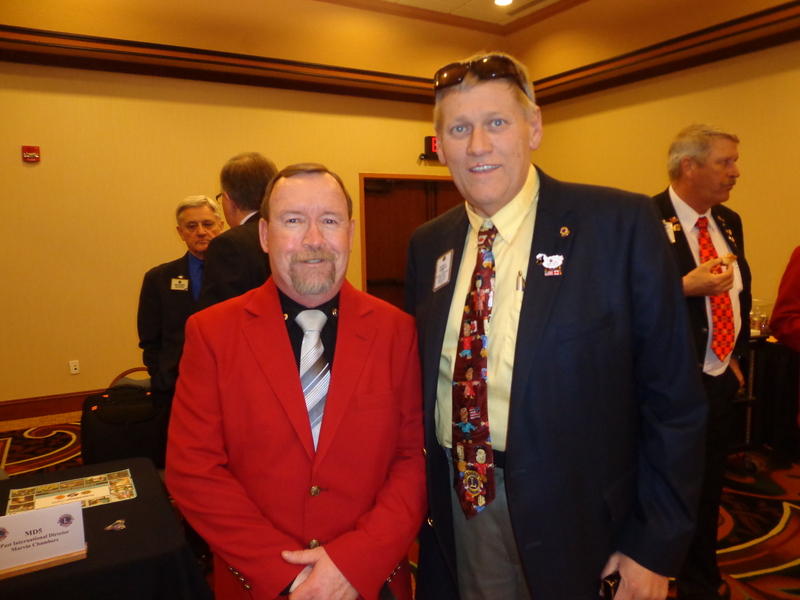 PDG Mel has been at the forefront of my campaign efforts this year and he has done so much to provide leadership and a positive focus while getting the message out to Lions across the Multiple District about my candidacy. He is one heck of a Lion and friend, and I will forever be in his debt. Transitions are always filled with opportunity and risk because there is uncertainty about what lies ahead. The best way to reduce uncertainty is to provide information. 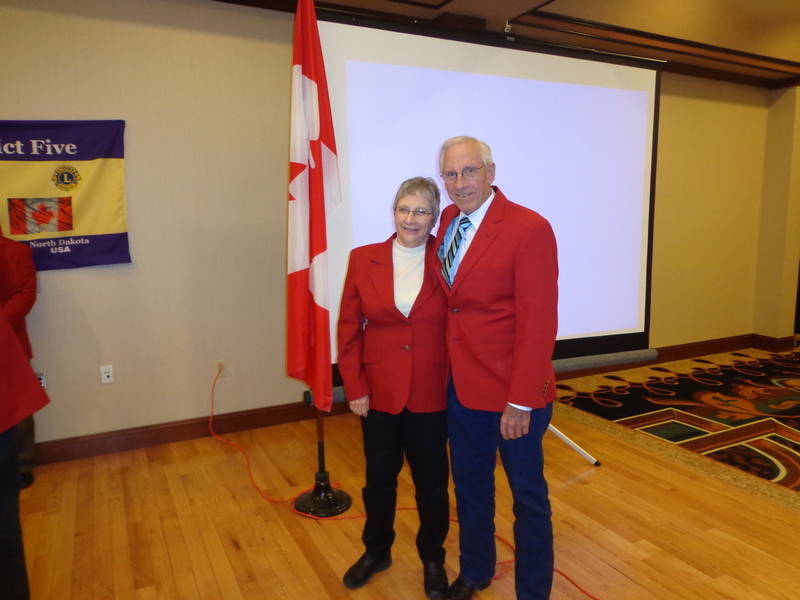 The election of the leaders for the 2014-15 MD5 Council of Governors should serve to inform the Lions across Saskatchewan, North Dakota, and South Dakota that the future looks bright! Thanks for the very nice article summarizing the action that took place at the MD5 meeting. I too am excited about the individuals who were selected to lead the organization during the coming year. I am sure they will provide excellent leadership in the development of strategies to reverse the ongoing challenges the multiple district faces with the decline in membership.